“Inclusive, equitable and quality education goes to the heart of the 2030 Agenda as a key enabler of sustainable development,” said Peter Thomson, President of the General Assembly, in his opening remarks at the High-level SDG Action Event on Education. Mr. Thomson pointed out that education taps the Earth’s greatest asset, namely the inherent potential of the world’s people. “Access to quality education is not only a goal in itself, but a fundamental building block to creating a better world of sustainable peace, prosperity and development,” he underscored. Ms. Mohammed maintained that the world can only be shaped by quality and relevant education, stressing the importance of investments to ensure a strong framework. 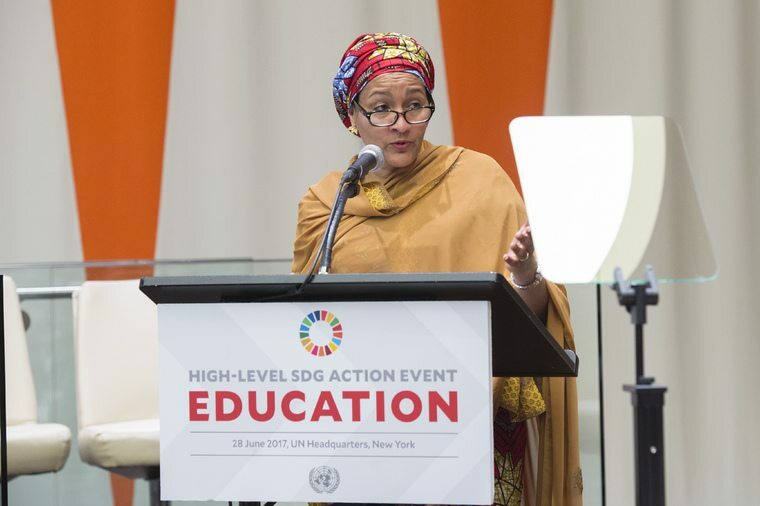 “We know when we deliver education to a young person, we’re not only delivering the knowledge and skills they will need to chart their own future — we’re preparing them to lend their hands, their mind, and their heart to shaping a more peaceful, prosperous future for their society, and indeed, for the world,” she said. The UN deputy chief focussed specifically on the five interrelated areas of finance, innovation, girls’ education, lifelong learning, and education in humanitarian contexts. “There is no better investment in the future peace and resilience of a society than in the education of its citizens,” she stated. For her part, Irina Bokova, Director-General of the UN Educational, Scientific and Cultural Organization (UNESCO), emphasized education as a basic human right and the foundation for inclusive sustainable development. 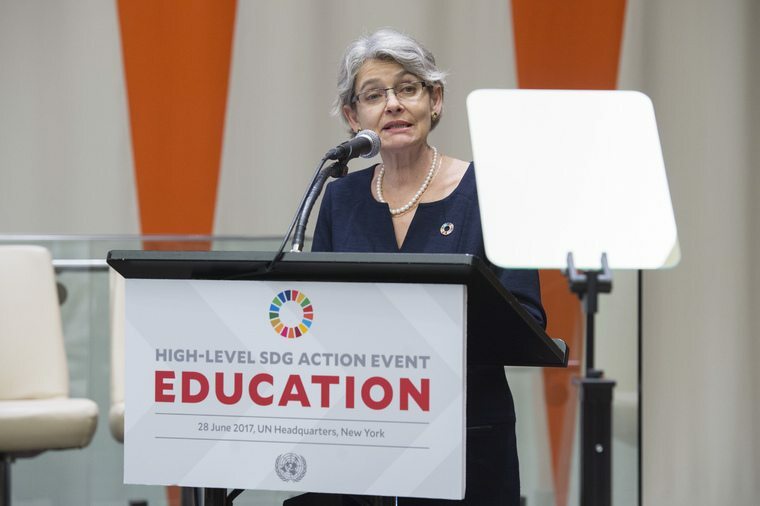 “Education is a transformational force that cuts across all of the Sustainable Development Goals, making progress sustainable across the board,” said Ms. Bokova. Citing UNESCO’s regular global monitoring reports, she noted that 264 million children, adolescents and youth were out of school – most of them girls. “Girls and women face the steepest challenges. Two-thirds of the more than 750 million illiterate adults in the world are women,” stressed Ms. Bokova, adding that they are often discriminated against, prevented from enrolling or continuing their education, dropping out of secondary education and facing strong barriers. “If we do not move these barriers away… we will not achieve Sustainable Development Goal 4,” she underscored. As experts discussed how to advance SDG 4, the event also highlighted innovations in education through a panel discussion and a “marketplace” that showcased solutions to delivering low-cost or free learning resources to students and educators. Today’s event, which also featured musical performances, was the last in a series of SDG action events convened by the Office of the President of the General Assembly. Others focussed on sustainable peace, climate action, financing and innovation. That’s where I constantly battle and I just wind up gazing vacant display for long time.